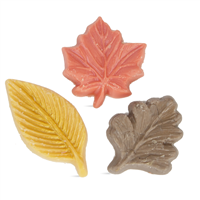 These adorable Apple Balsam Wax Melts will fill your home with the scents of the season. Perfect for fall, winter and the holiday season, these wax melts are a great add-on to holiday gifts and make the perfect hostess gift! You Save $12.14 buying these items as a kit. You Save $23.41 buying these items as a kit. For anyone concerned about burning candles in their home, wickless candles are the perfect candle for you. Simply place the tin on a candle melter or coffee warmer. As the wax melts, it will fill your room with the warm and fall-like scent of pumpkin cardamom. You Save $13.62 buying these items as a kit. Purchase this kit as a holiday gift or to make for sale. 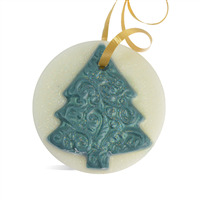 These ornaments can hang anywhere you want to add the fresh scent of Frasier Fir and pine needles – your car, locker, gym bag, closet, even your Christmas tree. You Save $21.29 buying these items as a kit. This kit makes 8 bottles of room spray. This scent is a year-round favorite for scenting your home, beach house or anywhere you want that scent of summer! You Save $37.70 buying these items as a kit.